Are you thinking about the use of this meter? Here comes its uses – to map the frequency environment, point directional antennas, and maximize signal booster coverage installation projects. The SureCall CM-METER-01 Five-Band RF Signal Meter is designed exclusively for professionals to conduct site surveys and help aim directional antennas. The SureCall Signal Meter measures signal on the five main frequency bands used in North America. The signal meter can detect and measure existing signal strength which can be used to determine the best location for outside antennas or to help aim directional antennas. An added advantage of the CM-METER-01 is that it can also be used indoors to identity the locations inside that suffer for poor signal strength to help in locating the inside components. The CM-METER-01 is a five band signal meter that can measure signal strength on the two 700 MHz bands used for Verizon and AT&T LTE, 800 MHz Cellular & 1900 MHz PCS which are used by most carrier’s 2G and 3G networks, and AWS which is used by T-Mobile, MetroPCS, and others. The built-in display shows you which band you’re measuring, if any block is selected, and the signal strength in decibels. The meter is highly sensitive and can detect signals as weak as -110 dB. The meter includes 4 AAA rechargeable batteries which can power the meter for up to 2.5 hours. The CM-METER-01 includes an SMA-Female port for connecting an external antenna. During a system installation, the meter can be directly connected to an outside antenna to help determine the ideal mounting location and aiming direction. 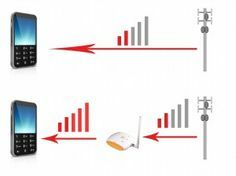 By improving the location or aim of the outside antenna, you help get more existing signal to the amplifier which can greatly improve the coverage area and performance of the signal booster system. The SureCall RF signal meter precisely measures wireless signal for Voice/3G/4G/LTE for all carriers in North America (Canada & Mexico included). It features a digital LCD readout for each band. 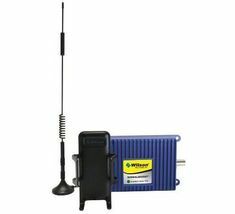 The meter can be used to receive and measure an outside RF wireless signal from the air, an installed outdoor antenna or directly connect the field antenna. Unit can also be used to measure signal loss in long cable installation runs. 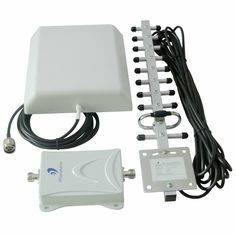 It has proved to be an amazing tool used to determine an ideal location to install outside antennas and achieve optimal signal booster coverage installation.